On Saturday a day of dancing and music was had at Saumarez Park. There were free workshops in Irish dancing for children and adults. The organisors of the Jigs and Reels Funday taught those that attended Ceili dances between 12 till 4 and also helped run a stall to raise funds for the GSPCA. There were cream teas and refreshments served with charity stalls on site and after 4pm there was Live Music and Ceili. 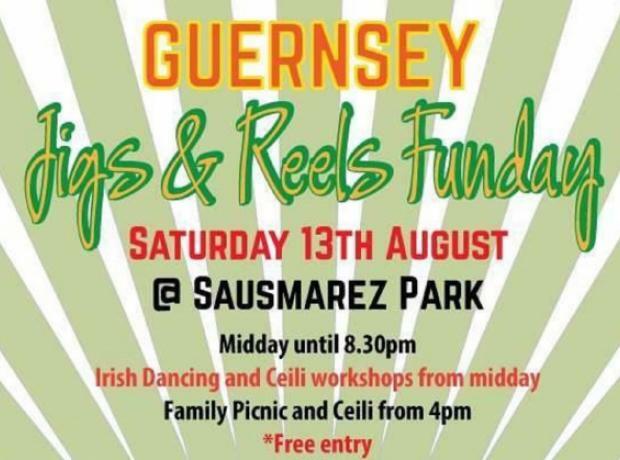 You are invited to a day of dancing and music at Saumarez Park.